“I was doing alright when I wasn’t with God, or doing his will, and now I’m in hell” – have you ever though that to yourself? Have you experienced loss, ‘failure’, adversity, trials etc just after you have been praying or doing inner work that made you feel excited about life, when you felt hopeful and joyous? 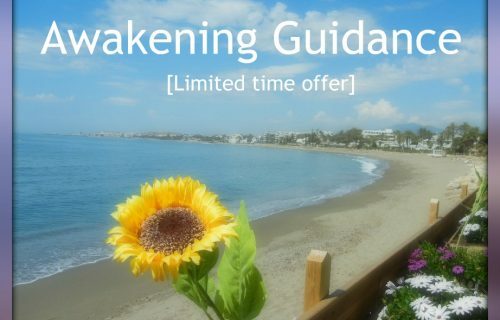 This happens to all of us and it’s a part of the awakening process – it’s your ego resisting change, or your awakening, because in your awakening your ego will die and lose its significance and power over you. 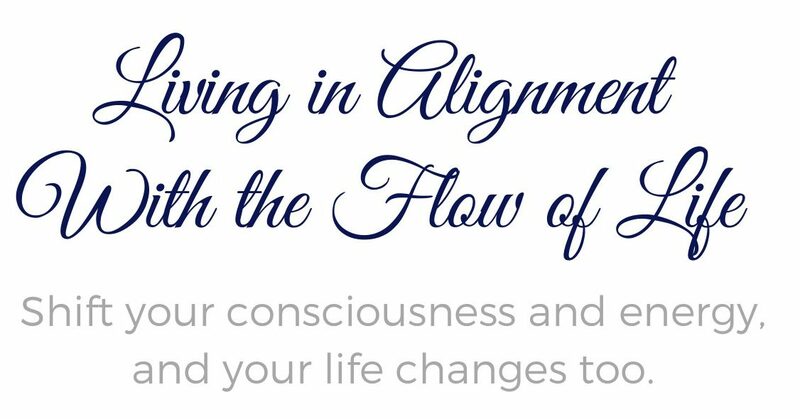 The ego will no longer be in the drivers seat, so you can expect severe ego-attacks at times when you thought things were going well and upward for you – and especially when you have made a shift in consciousness. That’s when the old ego self attacks the most. For example; if you have been praying and working on your health, your health might be attacked (worsened), or if you have been prayed for your finances, your finances might be attacked, and so on. As long as you just go about living a mediocre life, not doing much, not sharing much, when you’re more or less just existing, then you won’t have much trouble with the ego because it has you where it wants you, but as soon as you move outside of that (the ordinary and familiar), when you want something else or more out of life, that’s when the conflict occurs. An example; you might go though life thinking that riches or abundance is only for a few, but not for you, or that you’re just one of those lonely people that never will have really good friends and that that’s just the way it is, or that you’re doomed to be single forever and so on, but then as you discover more about the Truth of who you are, when the realization comes that you are entitled to live a fuller life, that’s when hell can break loose in your life. Because as you grow more into light (Spirit), the darkness (conditioned, limited ego self) begins to fight for its place in your consciousness. 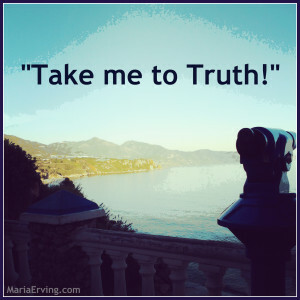 It can be any kind of realization; when you realize something about life as not being true, when a spiritual opening or awakening experience occurs, an expansion or shift in consciousness, when Truth is realized even at a very small level, even the smallest insight into Truth can sometimes propel the ego into a defensive frenzy over its place in your life (to be in control). And then when you begin to go even deeper, to investigate more into Truth, to working more on your illumination or right seeing; when you begin to deepen your understanding and taking action; that’s when the ego suddenly can strike with a “crisis” of some kind in your life. You might experience loss of money, bad dates, lying friends, and other things like the car suddenly breaks down, you get even more sick or ill, there’s strife in your family, suddenly nobody is ‘on your side’ and so on. These are all ego-attacks and the more controlling your ego is, the more you will feel, so it’s not only going to attack your inner life (emotional and mental well-being) but also your outer life. “This is not working, it’s all lies, I’m never going to _______ . It might work for some people but clearly not for me, I’m just not destined for more than what I have (=lack)”? When you know it’s your birthright to prosper, to live happily, be in good health, that God has a purpose for your life etc, when those truths are revealed in your heart, the ego will not like it and it will rebel against it. So your faith is not tested by God, it’s challenged by your ego. Our conditioning has made us believe that we have to get something from God when in reality we must take back what the ego has told us that we can’t have – better relationships, more money, enjoyable and meaningful work and so on. We don’t have to try to ‘get’ something from God, it’s more like we have to keep, or receive (by the renewing of our mind), what is rightfully ours. Especially when you pray and your relationship with God deepens, this is when you can expect opposition from the ego. That’s when it will throw fits because a revelation from God makes your new insight and awareness a threat to the survival of the ego. So all the tests that comes your way as you change, like for example when you feel crippled financially, or when life seem to just continue throw affliction your way, that’s not God sending trials to teach you lessons; God is not making you more sick or broke etc in order to ‘teach you’ something. God is not withholding anything, it’s our conditioned mind, our ignorance of who we are that makes us believe things like that. I don’t serve a God like that – I serve a God that wants me to have his best, and my ‘job’ is to believe that, to build my faith and develop my relationship with the God within me, so that I can live the Truth in all its fullness. But the Truth itself already exists. We have to get our minds clear on that – and we do that by the renewing our minds. God is not withholding money from you to teach you something; he wants you to be self-sufficient in all things, lacking nothing. God is not making us sick, or lonely, or bored with life; God wants us to have the life more abundant. So can you see how important it is to seek the kingdom within before going after the things we think we need? We serve a God of love, not a God that would have us suffer. God is a deliverer not a destroyer. Get your mind around to get this, turn everything around if you believe that God is the author of your suffering. Sometimes people think that yes, God is able to help, but maybe not willing to help them. When I realized this kind of thinking with myself it made me sad. (In terms of the time aspect in which I needed his help. I believed he would help me but that maybe he would be too late etc). How could I ever have doubted God to be nothing but good to me, that he actually loves me and wants me to have everything I need, that he wants me to enjoy life and be happy? Because we have been conditioned to have a twisted image and perception of God. Would a loving father be able but not willing? He might be willing but not able. But able and not willing? No, that’s not a loving father. Or if you went to your parents and asked for help (assuming that they love you and care for your well-being) but didn’t think they would be willing to help you even if they were able. How hurtful it would be to hear that as a parent! You could look at God as the “father”, the higher power, the all-knowing, loving power of the universe that created everything and so on, and if he is, then why would he not care about you, his own creation? Of course he cares about you! God is both able and willing to meet our needs and to help us, but we must be willing to receive what he (already) has – and we receive by believing in his goodness, by faith. Our minds has been so clouded by limiting beliefs about God, all kinds of weird ideas about God clouds our perception and we make him all powerful, but also neglective about us, as if he didn’t care about his own creations. (His “children”). And then when we encounter these trials (ego attacks), we get discouraged, sidetracked, distracted from our path, defeated, and we let the ego have its way with us; it seems like life is just creating more pressure around us so many people just fold up and quit when this happens. They ask and wonder why God would first give them something (hope, joy, empowerment etc) only to then take it away from them (when the attack happens), but that’s not God, that’s the conditioned self, fighting for its life! It’s the ego that gets agitated about the positive changes in yourself, or in your consciousness, not God – he’s happy about your awakening and shifts in consciousness! So today I want to encourage you to not turn away from God if you’re going through tough times, if you feel tested and if you experience a crisis in your life – Keep turning to God no matter what! – because what he is about is the Truth; the Truth that sets us free, and thank God he will never give up on any of us. He has nothing but love for you and me.